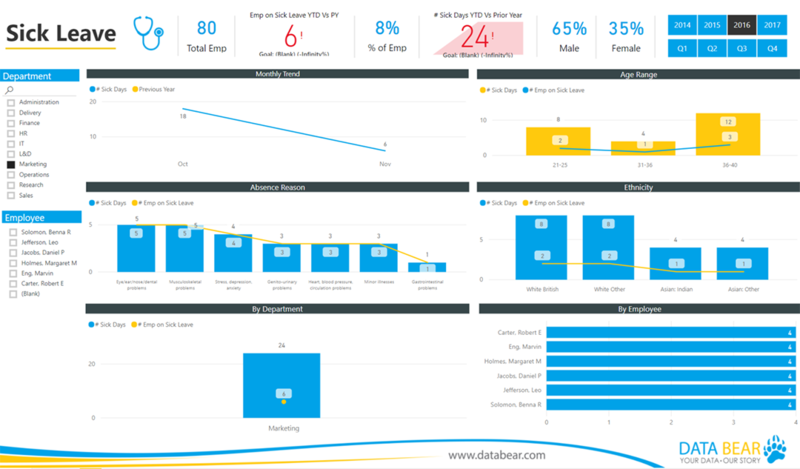 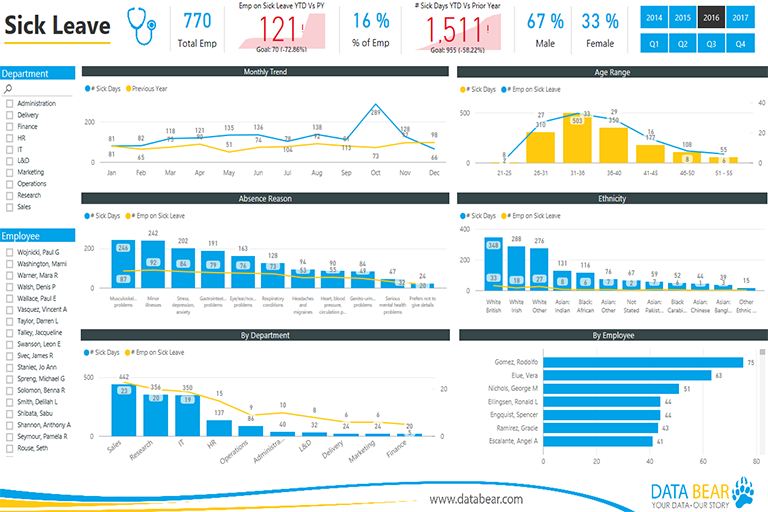 The Data Bear Human Resource Analysis solution allows you to analyse sick days across numerous dimensions, allowing you to drill down into the information that matters. 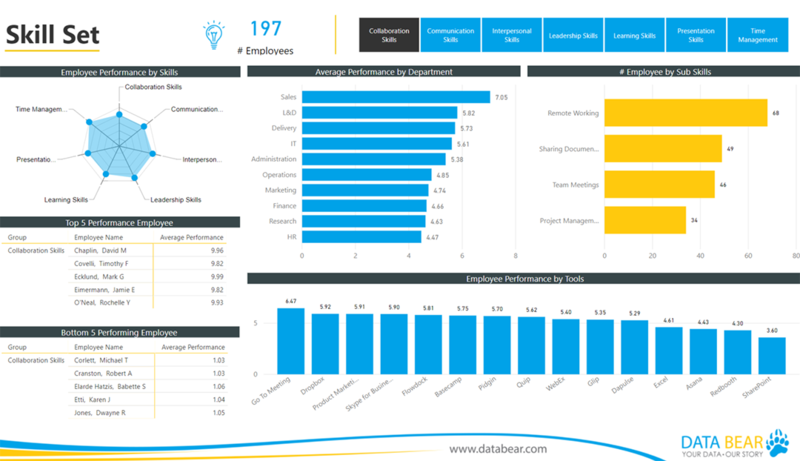 Our Skill Set dashboard helps you analyse professional development across departments and tools. 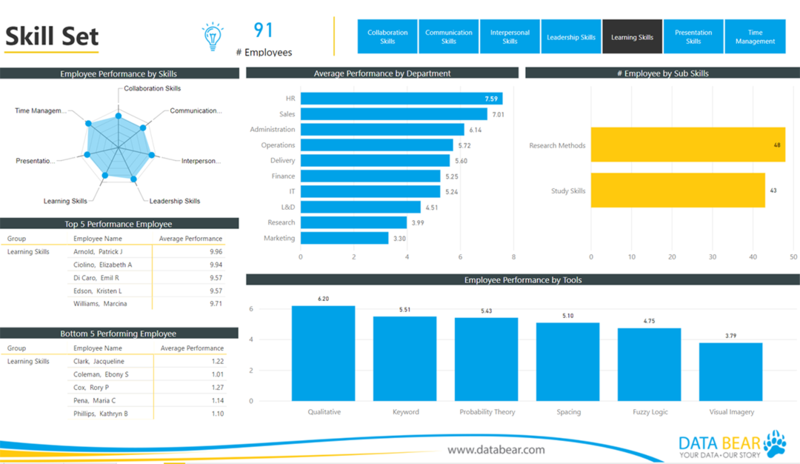 We have designed the Human Resource Analysis Solution to help you dramatically reduce the time it takes to access your vital data, significantly reduce the stress you feel when you don’t know what’s happening in your business and identifiably increase your profits.